We Are Krazy for Kids ! We love working with all of our young patients and are aware that they have distinct needs when seeing the dentist. We try to customize their visit to match their age, attention span and anxiety level. We do follow the guidelines of the American Academy of Pediatric Dentistry and American Dental Association and recommend you child's first dental visit be when the first tooth erupts or by age one. We’d like their visit to be as fun and comfortable as possible, and for them to build life-long relationships with our dental office. At our office, we really encourage mothers and fathers of small children to bring them along to the parent’s routine dental appointment or a sibling's visit so the child can easily see what happens at the appointment, and become familiar with our staff members and office. Prevention – Helping parents and children establish sound eating and oral care habits reduces the chances of later tooth decay. 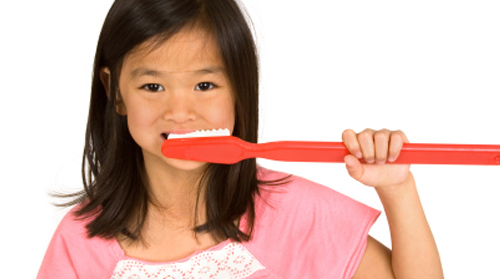 In addition to providing check ups and dental cleanings, pediatric dentists are also able to apply preventative restorations and topical fluoride to young teeth, advise parents on thumb- sucking/pacifier/smoking cessation, and provide good demonstrations of brushing and flossing. 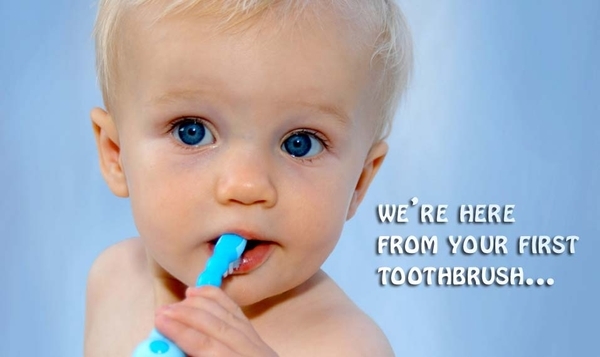 If you have questions or concerns about your child's teeth or dentistry, please contact our office.